So having no idea what the collections of Blairs Museum included, I was experiencing a wave of culture shock when I understood all the many layers of significance embedded in this work of art. The canvas, painted by an unknown artist, possibly of the Flemish School, had been hanging in the Scots Cottage in northeast France where it was rescued by a priest during the French Revolution in the late eighteenth century. It had been hidden up a disused chimney and in 1837, only a few years after Blairs College had been established, priests from Blairs were sent to France to recover the painting. They took it back to Scotland where it was restored and it has been ever since. Just how did this museum come about? 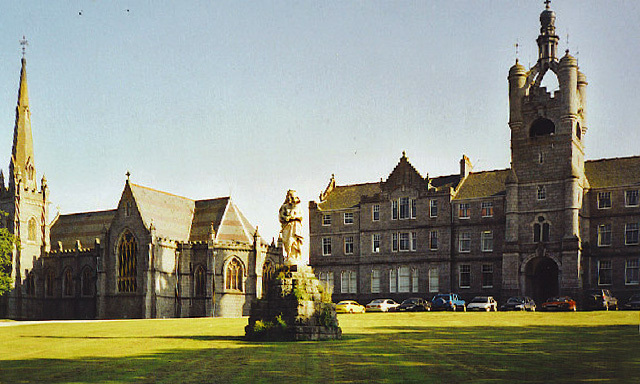 It is housed in what was Blairs College, established in 1829 as St Mary’s College, Blairs, as a junior seminary for boys studying for the Roman Catholic priesthood. 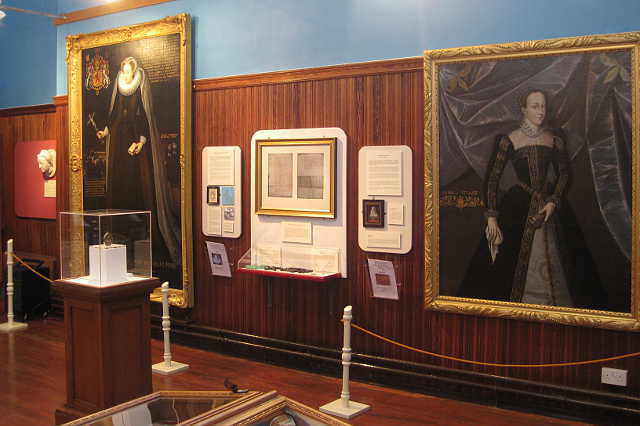 Over the years, Blairs had received a wide array of paintings, textiles, sacred silver and Jacobite memorabilia from a number of benefactors. When the college closed in 1986, an independent trust was created to preserve and display the various collections of religious heritage. In 2012, the Blairs Library of about 270,000 books centered on Scottish Catholic history was moved to Aberdeen University, but the chapel continues to be used as a place of worship. 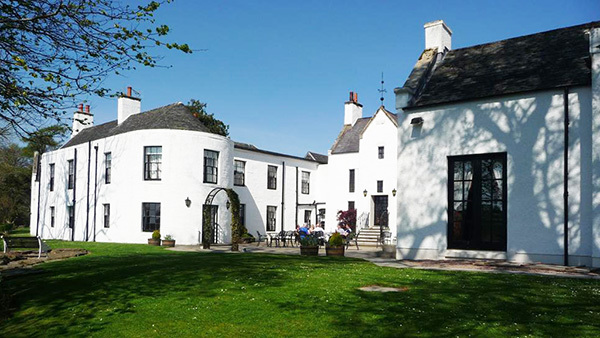 And to think I would never have even known about it if Kevin and I hadn’t been staying at the historic Maryculter House Hotel, beautifully sited on South Deeside Road. 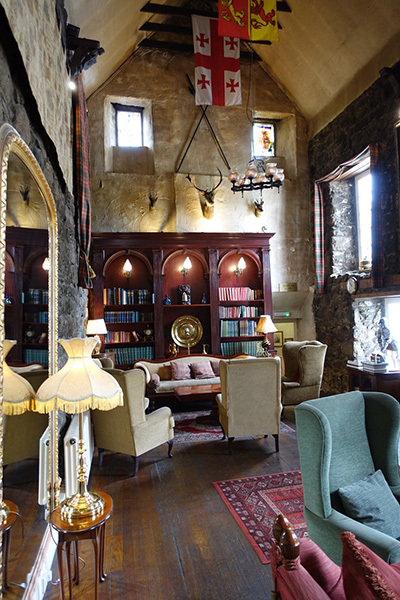 We had made the short drive after playing golf at Royal Aberdeen and in no time flat, we found ourselves in the land of Culter, parts of which had been granted to the Order of the Knights of Templar in 1187. 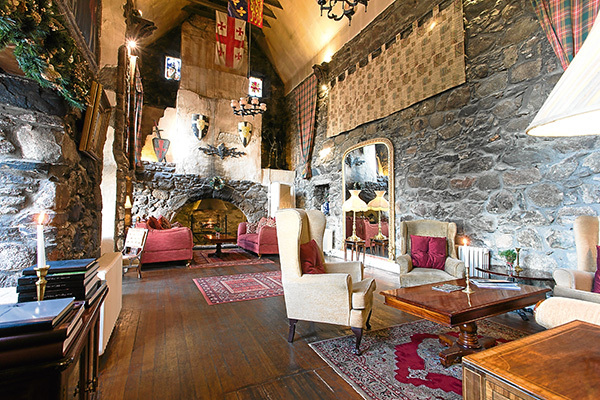 The oldest vaulted chambers of what is now a luxurious four-star property date back to the time of St John in 1460. Over the centuries, the estate changed hands numerous times. However, it is interesting to note that in 1745, all six sons of the Laird at that time fought for Bonnie Prince Charlie, leading up to the Battle of Culloden in 1746. Soon after World War II, Maryculter House then became a hotel. 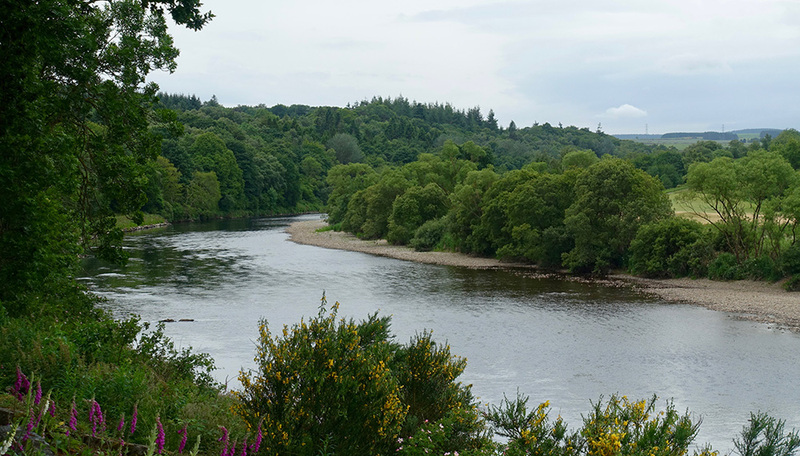 It was hard to tear ourselves away from this idyllic spot, on the banks of the River Dee. Not only is it a magnificent wedding venue (I know because I saw the ballroom prepared for the lavish event the next day with exquisite table settings, each themed after a famous Scottish Loch. But since they recently added the Tilbouries Beat to their ever popular Culter Beat, the fly-fishing aspect was of particular interest, as they have their own resident Ghillie who provides expert guidance to all levels of anglers. The zigs and zags of the river pictured on the fishing map at Maryculter House were a perfect metaphor for all the twists and turns of Scottish history. Little did I know upon climbing into our car to head for Blairs, that I’d be catapulted backwards in time to the turbulent 16th century within a minute of stepping inside the museum. It’s as if I signed up on the ancestry website to study the various generations of the Stuart family tree. It was all brought to life so vividly when Danielle and I moved on from Mary’s heroic Memorial Portrait, to one of her rendered at age sixteen. She was wearing a regal black dress adorned with magnificent panels of gold embroidery, painted just after her wedding in Notre Dame. 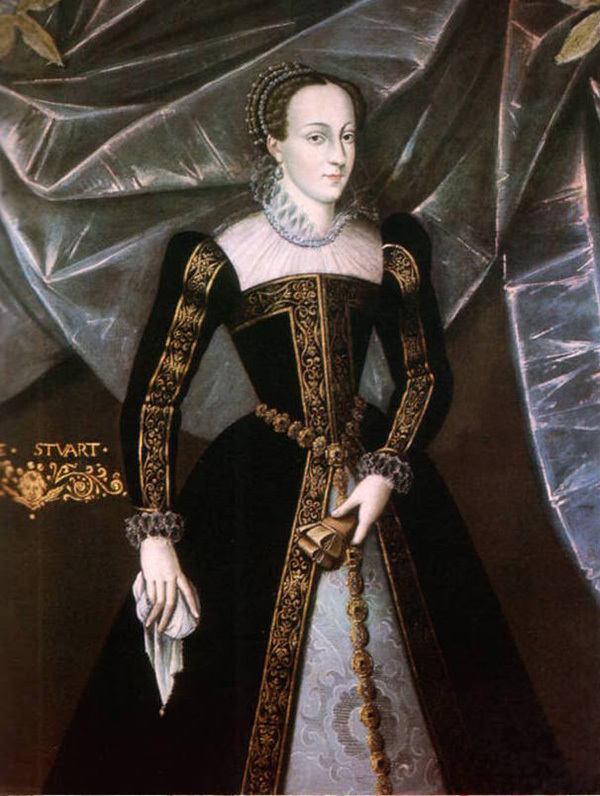 Later research revealed that after only seventeen months on the throne, Mary’s young husband died when he suddenly collapsed on December 5, 1560. Francis suffered from a condition that caused him to occasionally lose consciousness and this time he never recovered. Mary was soon on her way back to Scotland following this tragedy. Of course we now associate black with mourning and for me it felt like Mary’s gown was an omen. 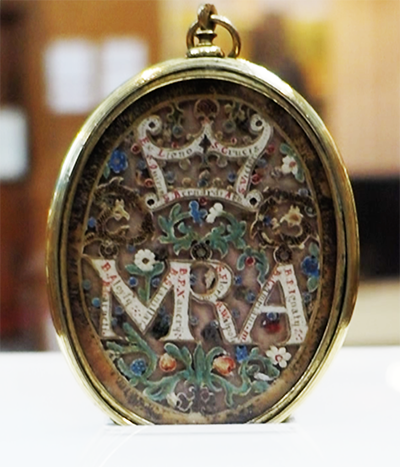 More images of Mary followed — one a precious miniature portrait in a small gold oval frame. However you interpret it, the quality of craftsmanship was exquisite. I was so intrigued with Mary, I could have been completely satisfied being totally immersed in her saga alone, but another group of portraits that I could see out of the corner of my eye were begging for a closer look. It’s absolutely mind-boggling to think how different the story would have been if one of them had had a Y chromosome. And apropos of that, we were then on our way to see the Stuart men.